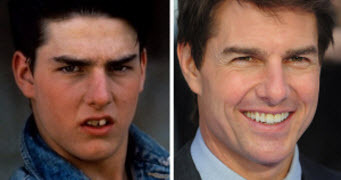 Orthodontists for some time have been aware of the relationship between unattractive teeth and low self-esteem for some time. Not only for kids but patients of all ages. A smile and teeth are the first features people notice when you walk into a room and important to communication and developing relationships while kids are maturing. Children can be cruel and parents often ask for the help of Dr. Lisa P. Howard when they know their kids are being teased or bullied because of his or her appearance. Explain to your kids those baby teeth are not all lost till early teens and their smile will eventually change as they grow. Once this happens the looks and smiles of the kids making fun will change too. Our goal at the orthodontic practice of Lisa P Howard DDS MS in Scarborough ME is to address the personalized needs of any patient at any age. Contact our office for a complimentary smile evaluation and let us help you determine how we can best help you and your child who is a victim of bullying or teasing.